It’s blimming cold now, there’s no denying it. My attempts to venture out in just a thick jumper and scarf are leaving me miserable and shivering and winter is definitely here! 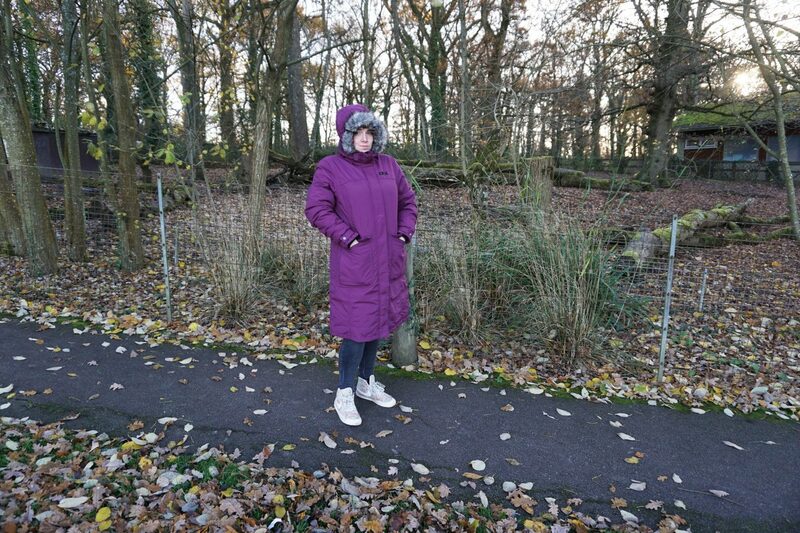 But I’ve got a new coat to keep me toasty from Trespass, and I am wondering why I’ve never thought about having a longer length coat in recent years – it really makes a difference! I’m not a huge fan of jeans so mostly wear leggings or tights which means my legs get a bit chilly so an extra warm layer is much appreciated! The DLX Munros coat is padded with down and feather, is waterproof to 10,000mm and has reinforced seams so no wind gets in. I love that it is waterproof as my current raincoat is really lightweight and doesn’t keep me warm at all, but that’s definitely not an issue with this coat! 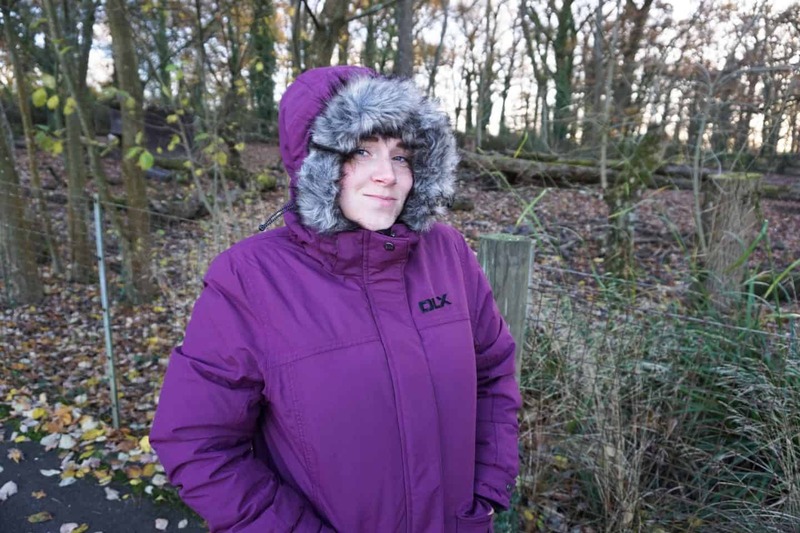 Despite being really warm this outer fabric is breathable so its not uncomfortably hot to wear, even when I’ve been chasing after kids and pushing them on swings and lifting them up climbing frames (which is about as psychical as my outdoor exertions get at this time of year, lets face it!) though DLX stands for ‘Designed for Life in Extremes’ so I’m sure it would withstand far colder temperatures than we get on the south coast, I am heading up to the Scottish highlands in January, where it will be a lot colder than here as there is snow there already in fact. I know I’ll be warm and dry in this for sure! The collar is lined with a black super soft material that feels cosy against my skin and means I don’t necessarily need a scarf. The hood is thick and has toggles to tighten if needed, plus a zip-off faux fur trim, as well as completely detaching if you don’t want it on at all. Two internal pockets, and four external ones mean that there’s plenty of storage space for your gloves, keys, phone and whatever else you need. The external pockets have a zipped side and one on top with a flap opening – these have the same soft lining as the collar so when you’ve got your hands in them they stay toasty! There are thick cuffs at the wrists so no draughts up your sleeves, and there is an adjustment popper to make them tighter or looser, which would come in handy if you were wearing thick gloves that made your wrists a bit thicker! A Two way zip with nice chunky zippers means that if you wanted to have a bit more freedom of movement like riding a bike, skiing or using a loo without taking your coat off you can! 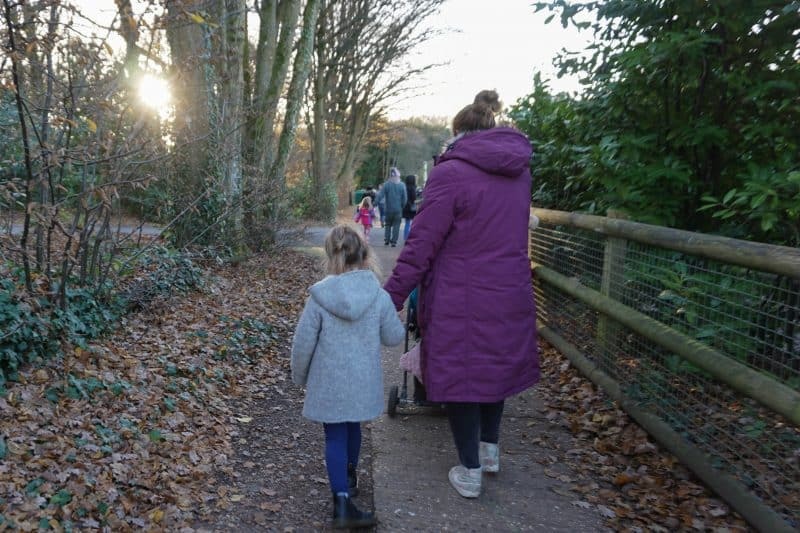 That last one came in very handy when I realised on a chilly day out at Marwell Zoo at the weekend! 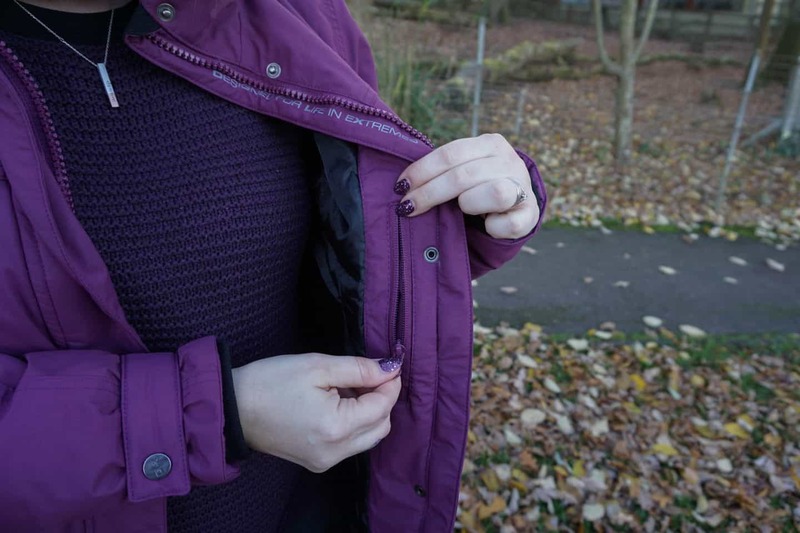 Each zipper (including the pockets) has a puller on it with a rubber tag too so they’re easy to use even when your fingers are a frozen as icicles! 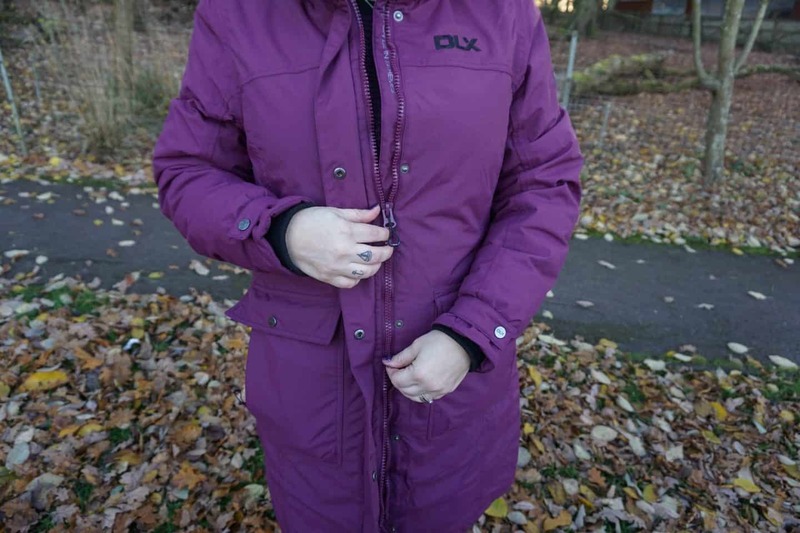 This DLX Jacket is available in black, yellow and khaki too, if purple doesn’t float your boat! The DLX range from Trespass covers all sorts of outdoor wear, for men and kids too, and I’ll be checking their range out for the kids winter coats next year. My jacket is currently on sale at £106 down from £206 (lots of women’s jackets here) but I think this is the sort of coat that would really last – considering you’d only be wearing it 3 or 4 months of the year, plus it can be washed at home in the machine – bonus! I was sent this Jacket for the purpose of this review, all opinion are my own. 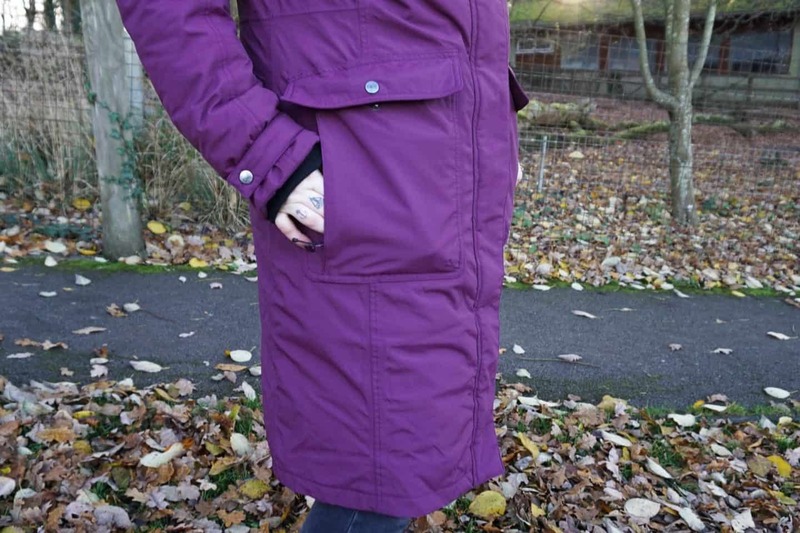 It looks like a fab coat – I’m on the lookout for a long coat at the moment, I always get cold legs on the school run!